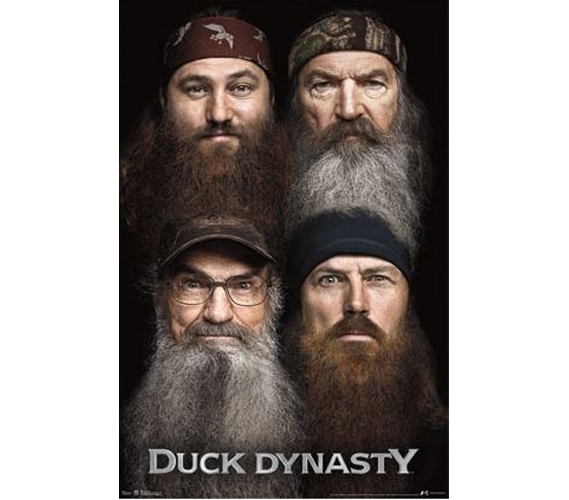 It takes some real time, dedication, and commitment to grow and maintain a beard like those portrayed on this Duck Dynasty - Beards Poster. So with that in mind, if you have respect for those epic beards, then add this poster for college to your dorm stuff. The best dorm items and posters for college can do so much more than just decorate your dorm; they can also enhance its vibe. They're the perfect college decorations for sometimes bringing some dorm decor that's a bit goofy. After all, you can't really accomplish this with your twin XL comforters and other dorm bedding items, or really any other dorm essentials for that matter. So let your wall decor for dorms shine, even if it is poster of four guys with huge beards.